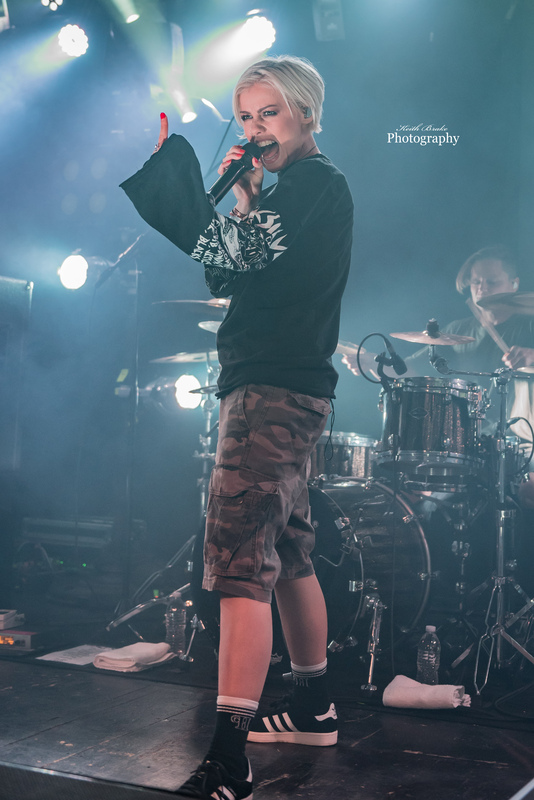 Tonight Alive performing at The Ready Room in Saint Louis. Photo by Keith Brake Photography. 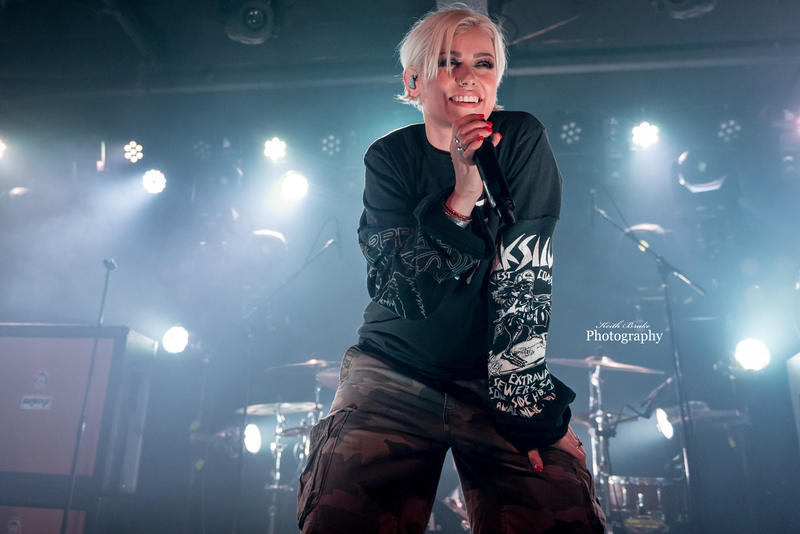 Australian power pop group Tonight Alive made a stop at The Ready Room this past Tuesday (1-23-2018) and brought with them a pretty darn good supporting cast. 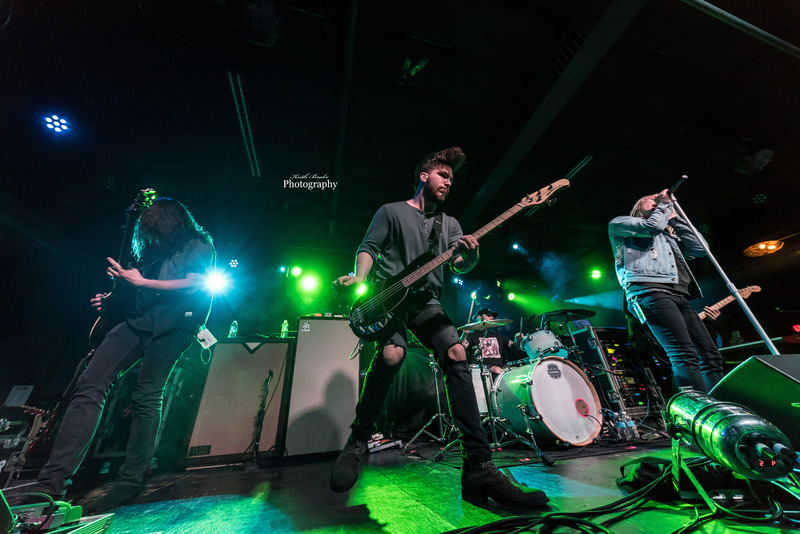 The group is out on tour in support of their latest release Underworld and are sharing headlining duties with Silverstein who are touring in support of their latest offering Dead Reflection. Also on the bill for the evening were supporting acts Picturesque and Broadside. Picturesque, hailing from Lexington KY started off the evening in fine fashion. Taking the stage on time and with smiles all around, the show was underway. Kyle Hollis (vocals) has energy for days while performing and the crowd certainly noticed and appreciated it. The Kentucky boys have a very unique and inviting sound thanks to Hollis’ vocal style which display a nice mixture of power and range. The band musically is tight and engaging making the overall Picturesque experience a pleasant one. Picturesque performing at The Ready Room in Saint Louis. Photo by Keith Brake Photography. Next up was Broadside, who is also out supporting their latest release Paradise. This Virgina pop punk group kept the evening flowing right along as the crowd eagerly anticipated the dual headlining acts. Ollie Baxter (vocals) thanked the fans for showing up and told them “We appreciate all of you, even if you don’t care who we are or what we are doing”. By the time Silverstein took the stage the crowd was amped and ready. The Canadian screamo act entered the room with reckless abandon and got straight to doing their thing. The crowd came to life the second this group stepped onto the stage and did not let up until their set was over. The Ready Room staff had to be on their toes during this set as the Saint Louis loyals decided that crowd surfing was the theme of the evening. The set had a nice flow to it with high energy songs mixed with acoustic sing-alongs. It was my first time seeing Silverstein and you can color me impressed as they held nothing back. 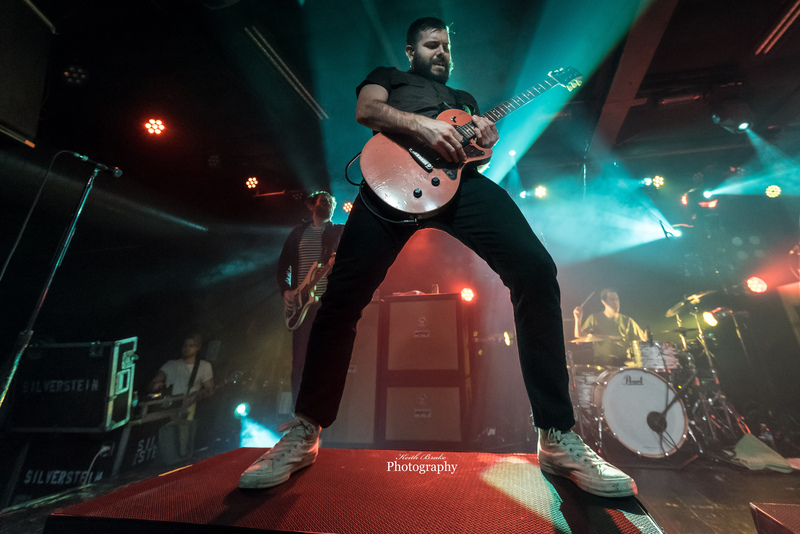 Silverstein performing at The Ready Room in Saint Louis. Photo by Keith Brake Photography. I was a little concerned for Tonight Alive having to follow such a strong performance, but Jenna and her Australian brethren quickly put my fears to rest. McDougall has a power and presence that is captivating, Jenna does not simply engage the crowd she owns them. With a million mile stare McDougall delivers every note with the surgical precision mixed with a very satisfying element of raw power. When I heard McDougall on the latest album, Underworld, I constantly searching for the raw element but when she performs live it is on full display. The crowd, still perfecting their crowd surfing skills, would sing along with songs both old and new and Crack My Heart, a single from the latest album, garnered a rousing response. Jenna took time to thank those in attendance and was particularly appreciative to those who were returning fans. All in all, the dual headliners are something that is not often seen, but these two groups make it work. While the music styles of the two are different it does not mean one outshines the other….a lesson for life if you ask me, we are different but that does not mean we are in competition. The tour moves on into Colorado and then Utah and if you like high energy shows, you can’t go wrong with this tour. Information for the tour can be found at https://tonightalive.com/ . If you were at the show leave us some comments on your thoughts and as always, thanks for the continued support of Midwest Rewind. Broadside performing at The Ready Room in Saint Louis. Photo by Keith Brake Photography.